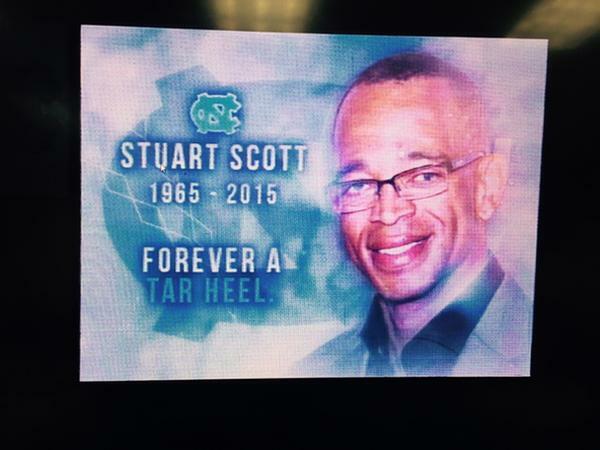 UNC-Chapel Hill honored one of its most famous alum, Stuart Scott, who died Sunday after a battle with cancer. CHAPEL HILL, N.C. (WTVD) -- UNC-Chapel Hill honored one of its most famous alum, Stuart Scott, who died Sunday after a battle with cancer. 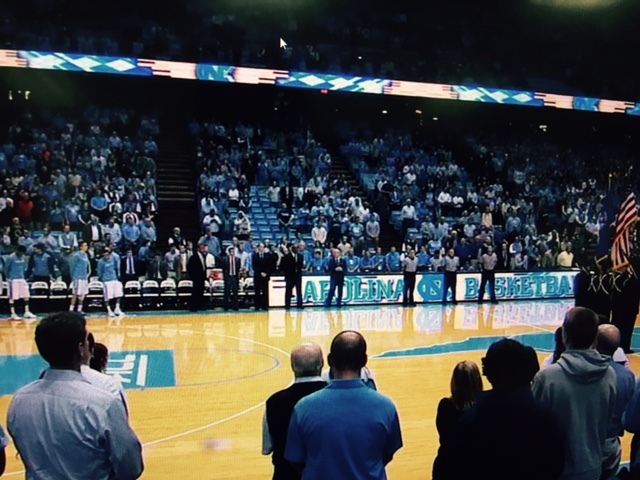 The school held a moment of silence just before the start of Monday's men's basketball game at the Dean Dome. Scott's photo was up on the monitor. The Tar Heels wore a "STU" patch to honor the 1987 graduate, and some fans even held up "STU" signs. The ESPN anchor started out as an intern at ABC11. The public viewing for Stuart Scott will be Friday from 4-8 p.m. at Providence Baptist Church in Raleigh. The funeral will be held Saturday at 11 a.m. at the same location.